Aficionados Chris » My Little Pony: The Movie (2017) Coming to Blu-ray January 9! 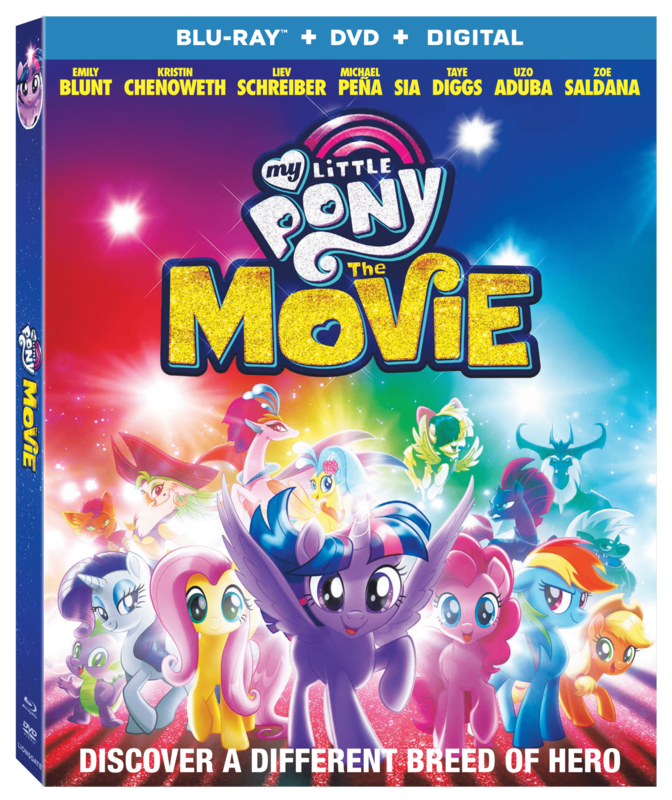 My Little Pony: The Movie (2017) Coming to Blu-ray January 9! Everyone’s favorite technicolor ponies in their first feature-length adventure will be trotting to Blu-ray/DVD Combo Pack January 9th from Lionsgate Home Entertainment! Digital will be made available earlier on December 19th. Featuring an all-star cast including, Emily Blunt, Liev Schreiber, Michael Peña, and Zoe Saldana! Plus new songs by Daniel Ingram, and an original song by Sia! Knowing the fanbase of this website, I couldn’t be happier to share this news with you all, and can not wait to pick this one up! Blu-ray and DVD will be available for the suggested retail price of $29.95 and $39.99, respectively.